When I find something I love, I eat it every day. Moderation is not my strong suit. There's a salad at Fast and French that I crave so consistently, I started making it myself. 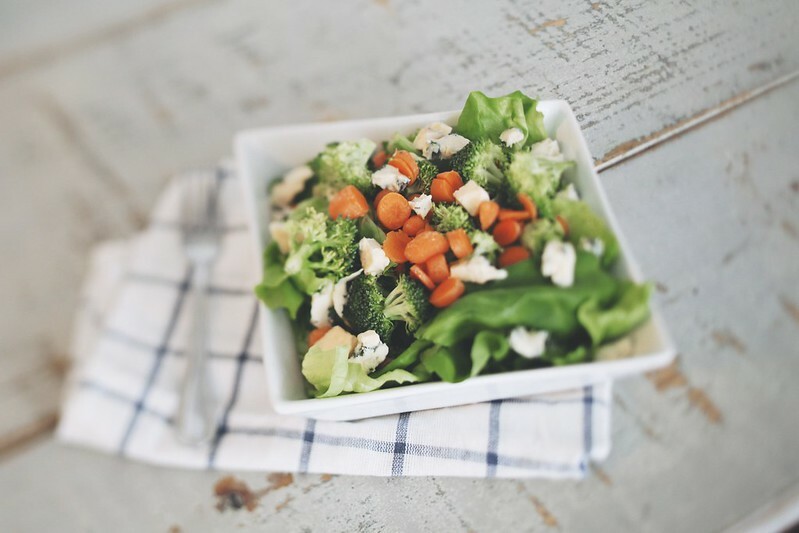 This salad focuses on raw vegetables (broccoli, carrots, butter lettuce) and bleu cheese (this creamy bleu cambozola is my favorite), although the real secret is in the simple vinaigrette. 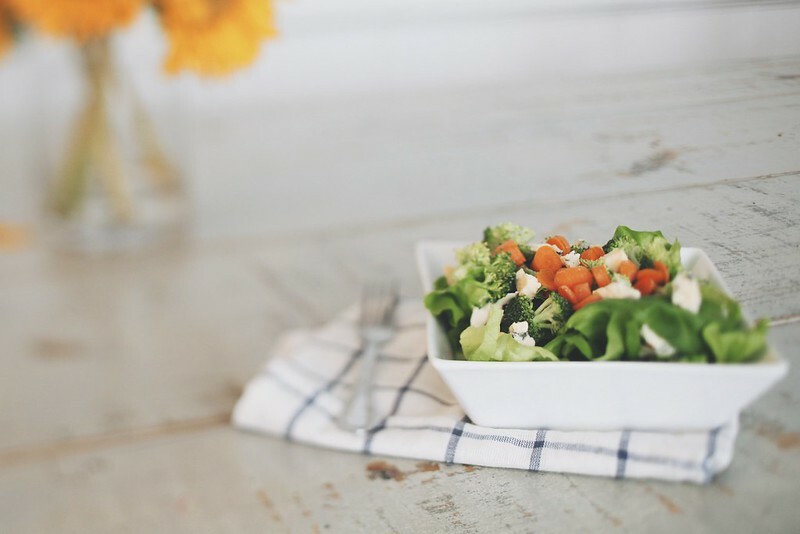 I've always dressed my salads with olive oil and balsmic vinegar, but taking the extra two minutes to whip up this actual dressing makes all the difference in the world. Simple French Vinaigrette 1 teaspoon dijon mustard 1 small garlic clove, minced juice and zest of 1 lemon champagne vinegar, extra virgin olive oil, salt and pepper to taste.